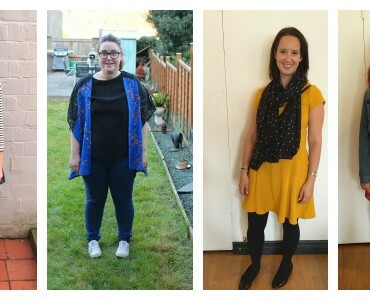 Cardiff Mummy Says is proud to be an official blogger ambassador for Cymraeg i Blant. 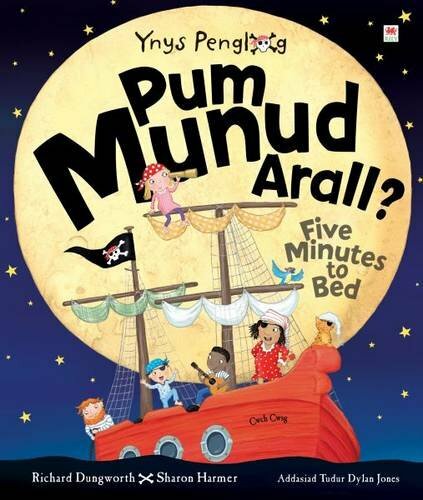 This month, I’m sharing some of our favourite bilingual Welsh and English picture books. 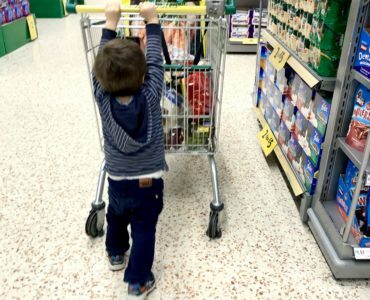 Cymraeg i Blant is part of the wider Cymraeg Welsh Government initiative, which encourages people to use more Welsh in everyday life. 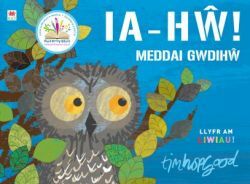 It supports parents with children in Welsh language schools, those who are considering Welsh-medium education for their children, as well as those whose children are in English-medium schools but who would like to include more Welsh in their family life. 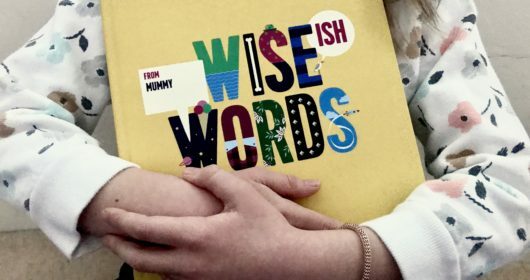 Last month, I spoke to parents from across Wales who told me how they support their children through Welsh-medium education when they don’t speak Welsh themselves. 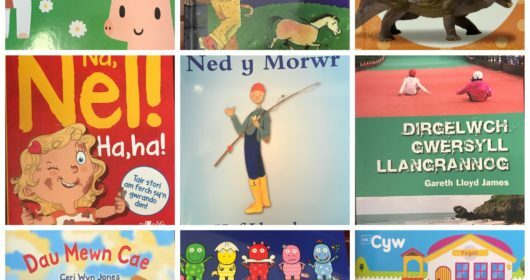 Many of them said they had started learning Welsh to support their child, with reading Welsh books helping them as much as their children. 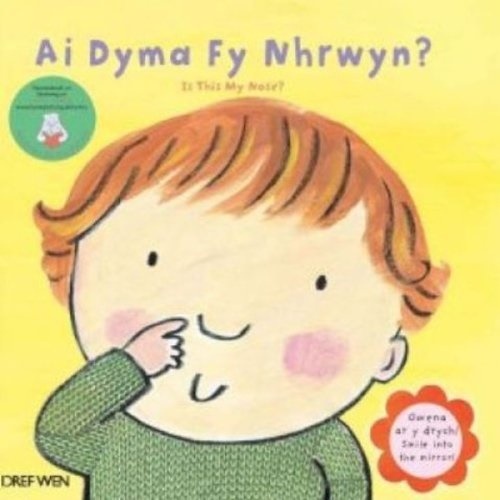 With that in mind, here are 14 bilingual Welsh and English books my children love. Some of them feature both languages on the same page. Others have the English translations at the back of the book. All are ones we have enjoyed and read time and time again. A great one for babies and toddlers, this board book features both languages on the same page. Simple, repetitive phrases help children (and grown ups) with finding different parts of their face. There’s even a mirror at the end of the book. Toddlers will love lifting the big flaps in this book to discover which animals the different ears belong to, as well as learning more about different animals. 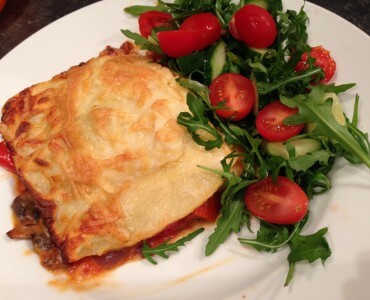 Welsh and English features on each page. 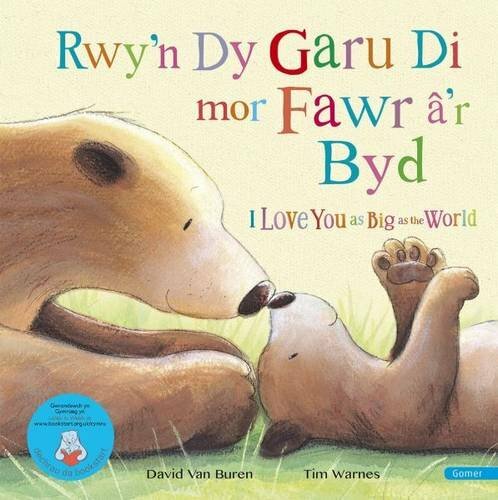 With beautiful illustrations, this book expresses just how much big bear loves little bear – or possibly the other way around! It’s great that this book doesn’t stipulate who loves who, or what gender they are; just that they love the person as deep as the sea, as blue as the sky and “because… you are you”/ “am mai to wyt ti”. 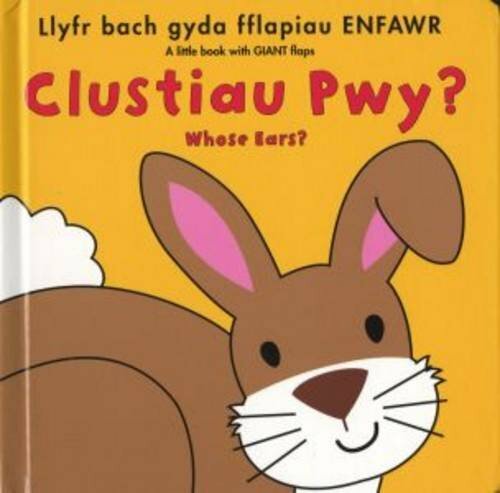 For Welsh learners, it’s great for learning comparatives – mor fawr a’r / mor ddwfn a’r etc. 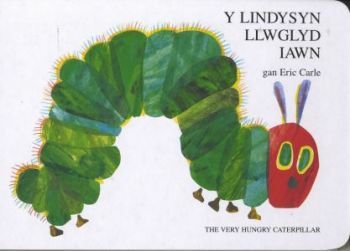 A bilingual version of the classic children’s book, sees a tiny caterpillar with a big appetite munching his way through everything in sight, before emerging as a butterfly. Great for counting and colour, and lots of the pages have little holes in where the caterpillar has eaten his way through the food. 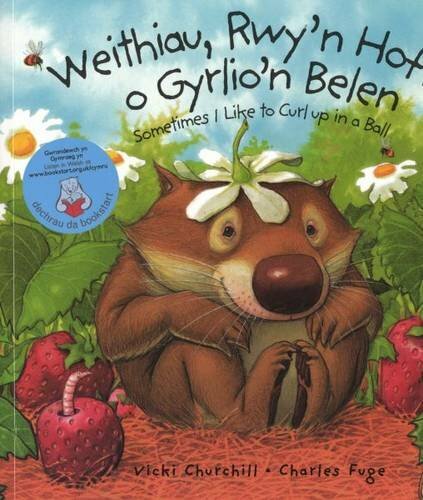 A simple picture book with Welsh labels on everyday objects that your child will be familiar with as part of their bedtime routine. It doesn’t contain English translations but it should be obvious from the pictures what the words mean! Geiriau Cyntaf means First Words and this is part of a wider series. A little owl should be sleeping at night, but instead he’s awake – and sees a wonderful array of beautiful sights as the sun rises… and even more beautiful sights at night time too. This is a great one for introducing colours as well as elements of nature, such as butterflies, flowers, leaves, the moon and stars. Rather than a direct translation, this book features a comprehensive list of vocabulary at the back. 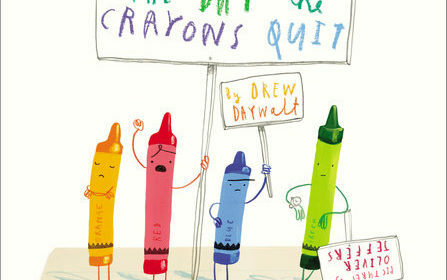 Beautifully illustrated, this is a great one to introduce actions to your child. Children can copy little Wombat as he stands still as a tree, screams out loud, makes funny faces, and to end, curls up in ball at bedtime with his parent. 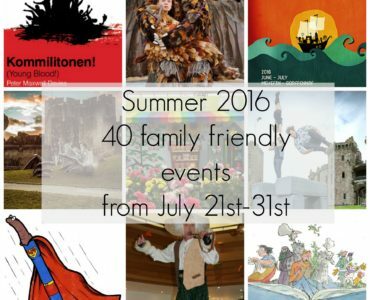 Most famous for illustrating Julia Donaldson’s books including The Gruffalo, Axel Scheffler is also an established children’s author in his own right. 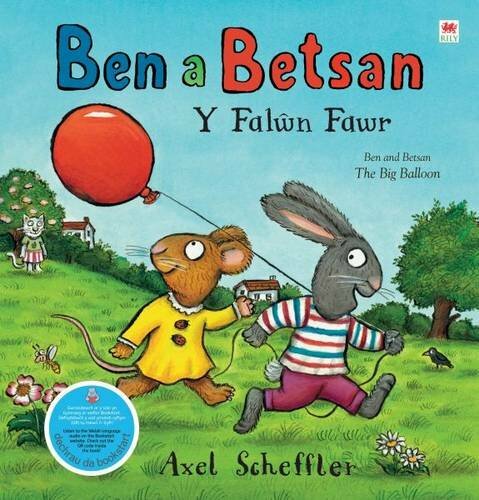 A number of his Pip and Posy series have been translated into Welsh, including this simple tale of Ben, who accidentally lets go and loses his balloon, and Betsan who tries to cheer him up. 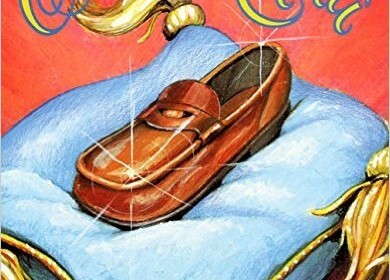 This was my middle child’s favourite book for months and months – we had to read it all the time! It features all kinds of bad-mannered, dirty creatures – including a pink-bottomed ape, which my children think is hilarious. It’s full of bright pictures and rhyming text, with the English translation at the back of the book. 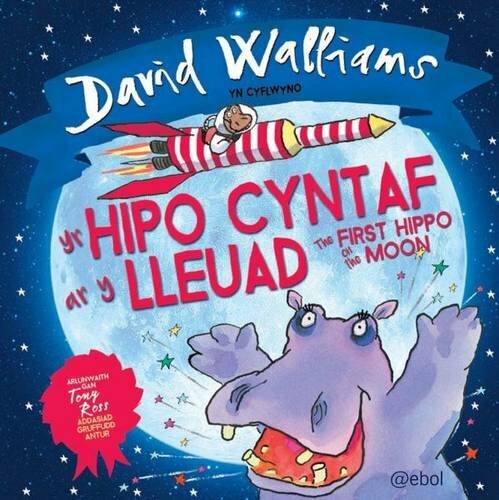 The animals of the jungle pull together to help Heulwen achieve her dream of being the first hippo on the moon. But will she get there before Caswallon ap Cynfelyn ap Cadwaladar who has paid for a gigantic hippo space centre to blast him there? The themes of teamwork and determination are accompanied by a spot of mischief and humour in this bestseller from one of the UK’s most popular children’s authors. 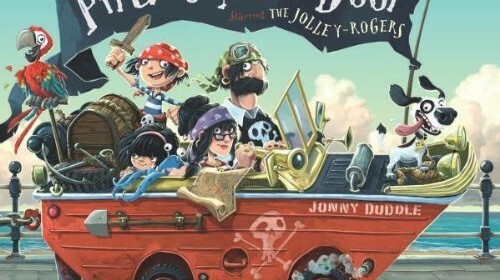 My pirate-loving kids adore this tale of a group of pirate children who aren’t tired and won’t go to bed. The captain gives them lots of jobs to do on board the pirate ship in an effort to tire them out – but will it work? The repetitive rhyming text is very engaging and the refrain “Amser gwely, blantos!” (“Bedime, me hearties!”) has become one of our little family sayings. There are other books available in the same series. Continuing the pirate theme, this is a great one for reluctant teeth brushers. 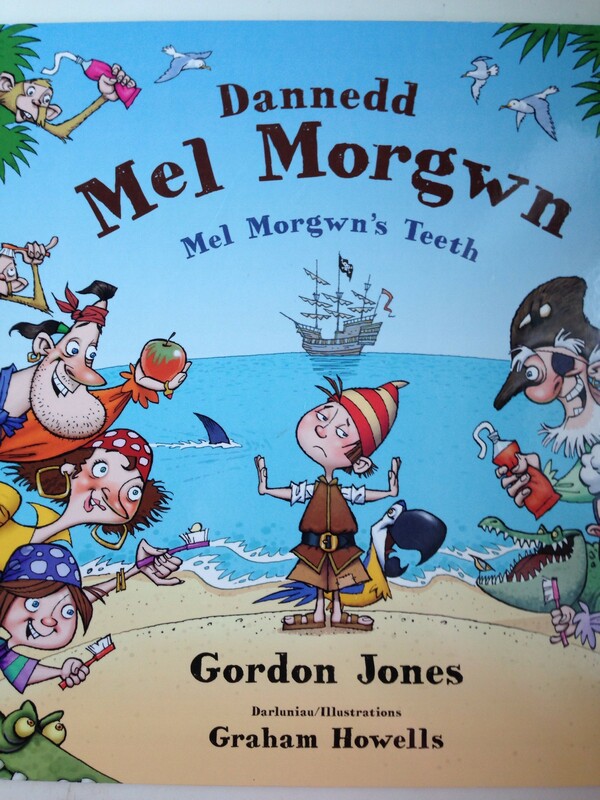 Mel Morgwn is a young pirate boy who says that because animals don’t clean their teeth, neither will he. His trusty pet parrot takes him on adventure visiting different animals where Mel discovers that even they may not use brush and paste, they have their own ways of ensuring their teeth are clean. This one has both languages on each page. 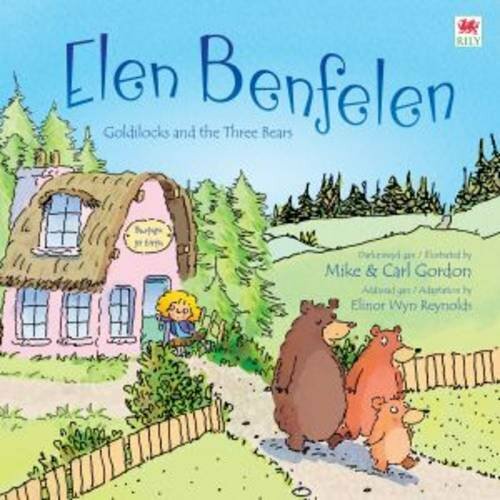 This retelling of the classic fairytale features a badly-behaved Goldilocks deliberately disobeying her mother and heading into the woods where, of course, she finds the house of the three bears. 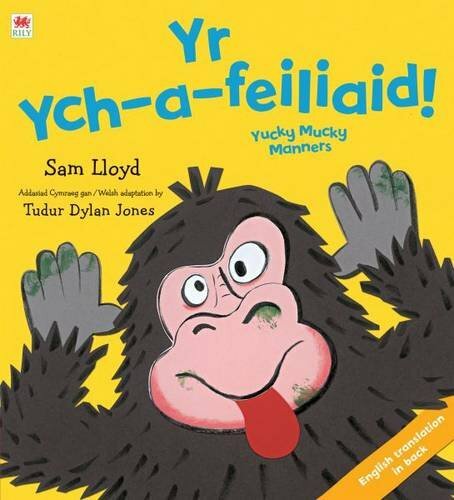 It features all the classic refrains such as “Pwy sydd wedi lolian ar fy nghadair i?” / “Who’s been sitting in my chair?” etc. 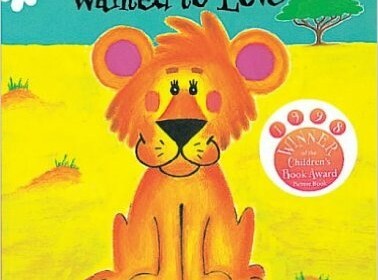 The large text is great for children learning to read, while the number of illustrations on each page is engaging for children who can’t yet read. The English translation is at the back of the book. 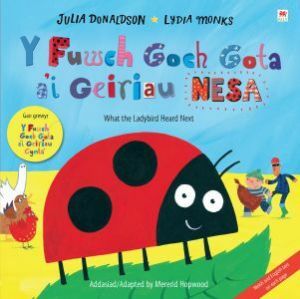 Loads of Julia Donaldson books have been translated into Welsh, but I especially like this one because it features both languages. The sequel to the best-selling What The Ladybird Heard once again features the ladybird and the farm animals out-witting two hapless robbers.